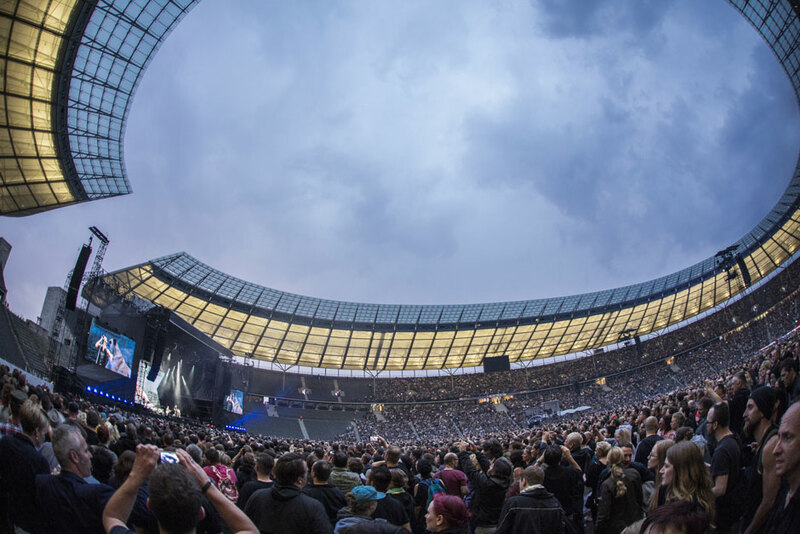 Douglas J. McCarthy is the Nitzer Ebb frontman and EBM innovator who toured with Depeche Mode in the late ’80s, making him the perfect person to review their sold-out, Berlin Olympiastadion show last night. All photos by Markus Nass. The ones that really hit me were out of the new ones, which is interesting because a lot of them sound so different live. “Angel”, I just thought was tremendous, so good. The little reworkings that they were doing on stuff—like “Halo” for sure, that slowed down version—but what I really noticed was on all them, and I know Peter’s playing some stuff and he’s got an analogue synth there, they’ve reintroduced a lot of the kind of fizz and old sounds, that weren’t necessarily on the tracks themselves originally, but I thought that was a real good asset for the show and performance. I went to the Jimmy Kimmel Live! performance in LA, which was all a bit weird, especially since Iron Man 3 was premiering on Hollywood Boulevard, so it was completely shut down. 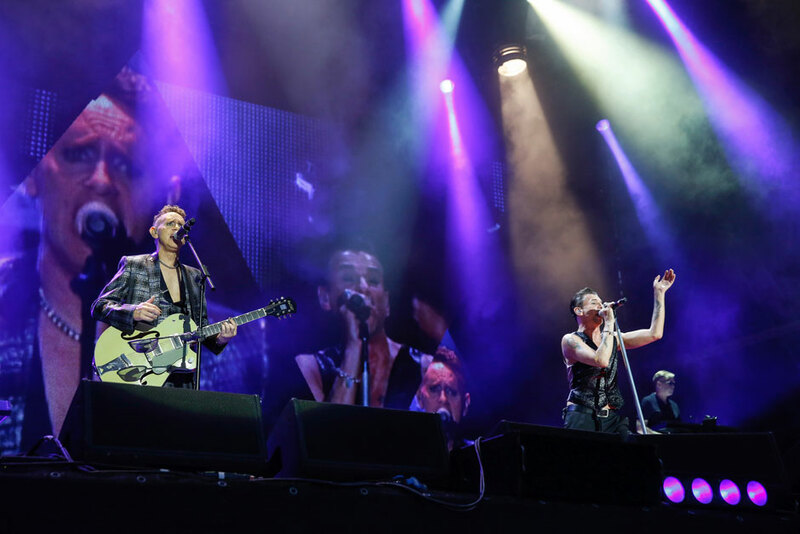 This is the actual first show I’ve been to [on this tour], and I must admit that even coming here, I forget what it’s like to come to a Depeche Mode gig, and the idea that I’m playing in two days… I’ve definitely got butterflies. But the boys are just so accommodating and so supportive. Now that I’ve heard the kind of treatments they’ve got of the newer stuff and the older stuff, I feel like with my new material [solo album Kill Your Friends] it actually does fit in quite nicely, because it’s a similar approach with what we have: backing tracks—as per the record, almost—then Cyrus [Rex], my partner in crime, is putting in noises, just playing over the top, just as a sort of soundscape. I guess what really impressed me about the show tonight—there’s the classic way of doing tracks that have become known, that’s how they do them, like “Personal Jesus”—but like I was saying, with “Halo”, it’s a pretty brave thing to do, it’s one of their big songs, and to actually have that kind of faith in their audience, basically. And it’s a longer show than last time. It’s two hours and 15 minutes and I think the last one was two hours. I know for a fact that as well as doing a two hour and 15 minute show, Dave was in the gym for two hours as well. He’s five years older than me, he makes me feel ancient [laughs]. Funnily enough, when I first started touring this [solo] album—it’s not Nitzer Ebb, obviously, it hasn’t got that intensity, for want of a better word, that kind of violence to it. But I really got inspired from the last time we toured with them. Just seeing how little you can do, how effective that is. Actually, it’s the small things that can carry a song and the audience feel it more than when you were trying to push it hard. 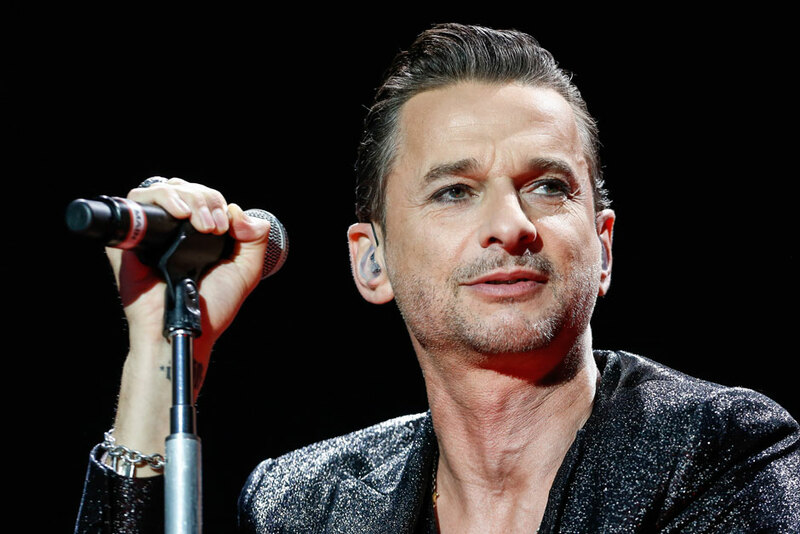 Douglas McCarthy opens for Depeche Mode in Leipzig, Copenhagen, Paris, and Hamburg. Read his Depeche Moment here.